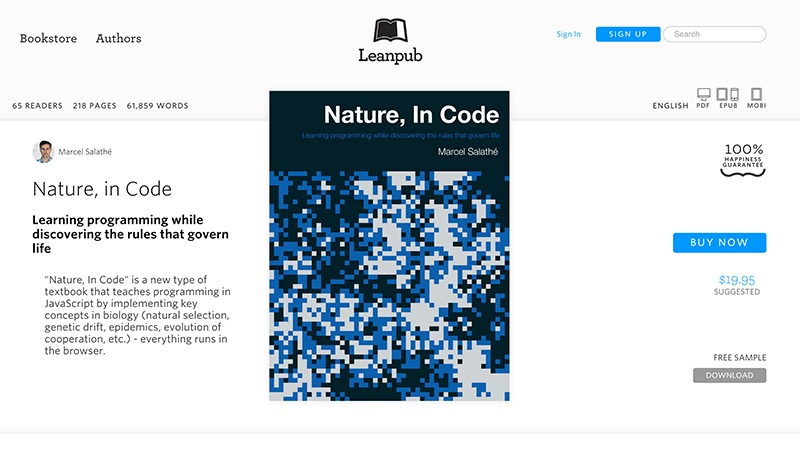 Welcome to the website of the book "Nature, in Code". 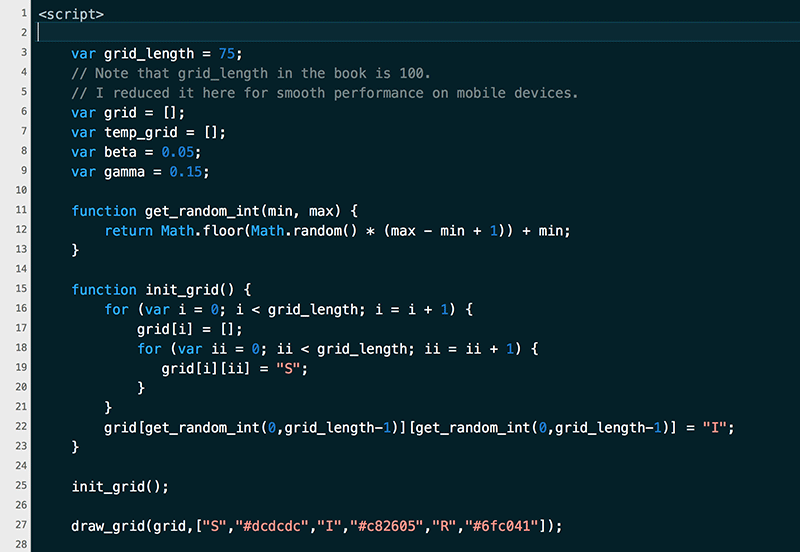 Here you can find all code examples used in the book. In addition, the content of the book is currently turned into a video-based course - you can find the videos on this website. 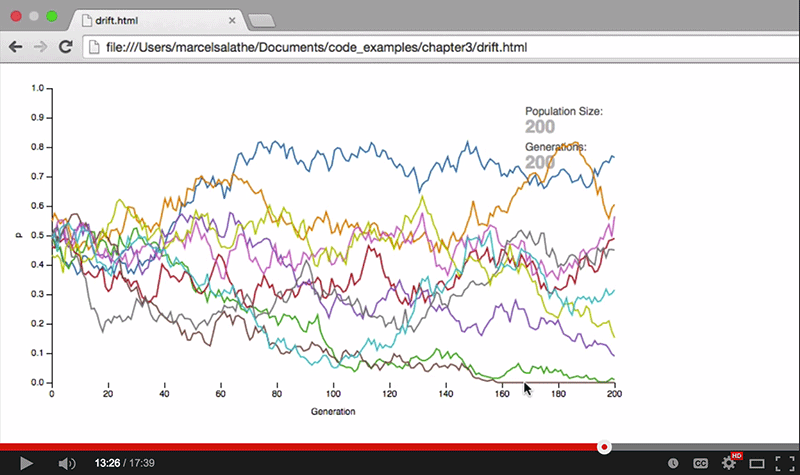 I've started recording videos for an EdX MOOC based on the book. Very exciting! Stay tuned. Book update - Chapter 8 finished! I'm very happy to announce that chapter 8 (on the evolution of cooperation) is now finished. I have uploaded the latest version of the book with the full chapter. If you have already bought the book, you can get this update for free, as always. Lean publishing FTW! If something is missing or wrong, please let me know! Twitter is best: @natureincode. Alternatively, you can send me email at lastname.firstname@gmail.com.